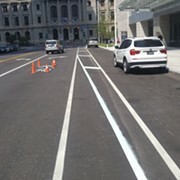 The uproar over a perceived encroachment on a downtown bike lane Wednesday was, in fact, a misunderstanding caused by an oversight by a striping contractor, according to Cleveland spokesman Dan Ball. 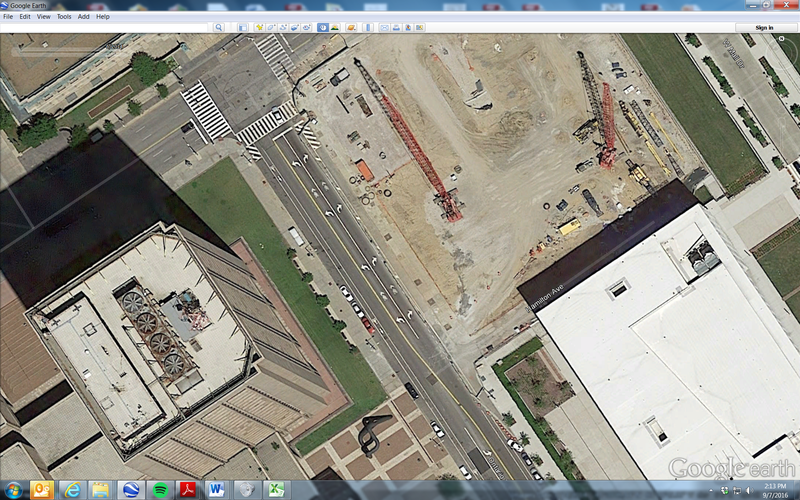 When the Convention Center construction zone was removed, Ontario Street was repaved, Ball said, and the striping folks did not "immediately replace all the original markings," (as depicted in the Google Earth image above, from June, 2o14). "They did not install the white transverse lines and shared lane markings that had been in place near Lakeside Ave."
Ball said that without the transverse lines, Ontario Street appeared to have a dedicated bike lane that extended all the way North to Lakeside, but that that simply wasn't the case. "Extending the bike lane in this manner would trap cyclists on the right-hand side of vehicles turning from the right-turn only lane," he wrote. "Our original design terminated the bike lane in the midblock area and created two shared lanes (one turning left and one turning right). 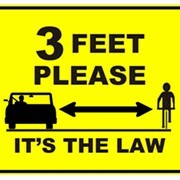 This eliminated turn conflicts at the Lakeside Ave. intersection." Ball also confirmed that the repaving was not undertaken at the behest of @HiltonCleveland. "While it’s true a full-time parking lane was converted to a valet zone for the hotel," Ball clarified, "the hotel otherwise did not impact traffic operations. This simply is the completion of the Ontario St. paving project."